Almost 90 contestants have so far lodged applications to audition for this year's Telford's Got Talent show. The organisers say preparations are in full swing for the competition including the launch of a new website to make it easier for acts to sign up. Talented acts including singers, dancers and variety performers are urged to apply for the auditions which will take place on April 6 and 14 at Oxygen Nightclub, in Central Square, Telford. The semi-finals and final live show will take place in the summer with an independent panel, including a celebrity judge, from a television soap will be unveiled soon. Shaquille Miller, of the organisers Dennis-Miller Productions, said: "So far we have had over 86 people apply. Since the launch we have had over 125 shares, 36,600 views and over 400 likes over the social media platform. "This year my siblings and I wanted to 'brand out' and make it easier for the public to apply so we now have a web designer who has designed our brand new website, so that the public can submit their application directly. "We have our very own unique Telford's Got Talent logo and have hired social media specialists who will look after our social media platforms. We have a business support officer, who will be dealing with any queries, emails and phone calls. New camera crew and a photographer will be with us throughout the auditions and live finals." 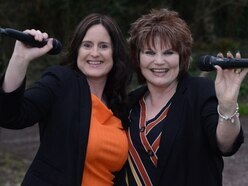 Since walking away with the £500 prize last year's winners Sue Phelan and daughter Michelle Talbot of singing duo Intrigue have performed in front of thousands at community events. Sue said: "The past seven months for both Michelle and I have been awesome. We have met some incredible, kind and supportive people, who have been there for us every step of the way. "Who knows what the next few months will bring, but for now, we would like to thank everyone who has been a part of our fantastic journey." Performances included Telford's Carnival of the Giants and its Christmas lights show, a fun day at Hadley Learning Community and Telford & Wrekin Council's Better Homes for All awards ceremony. Telford's Got Talent is being repeated after it was among the best attended events to mark the borough's 50th anniversary. The deadline for applications is April 13.